Name And List of Devices Updating to Android Nougat 7.0 N .
Name Of Devices Getting Android N 7.0 Nougat Update . 1 Name Of Devices Getting Android N 7.0 Nougat Update . 1.1 Name of Android Smartphone that will update to Android 7.0 Nougat . 2 List of Sony Smartphones updating to Android 7.0 N Nougat . Do you want to know the name of android smartphones updating to android N 7.0 nougat . Today we are here with the List of smartphone that will be updated to latest android version N 7.0 . In this guide we will tell you the name of android mobile upgrading with android N 7.0 nougat . Android N 7.0 touted as Android Nougat is the latest android version from google . Android 7.0 Nougat is the successor of android 6.0 marshmallow . before going to the names of smartphone updating to android N 7.0 let us have look at some of the features of android N 7.0 . The biggest update in the android 7.0 is that it will come with no app drawer , which means you will get all apps and games straight one the home screen itself . The next big feature in the coming android 7.0 n is the More security and more battery life feature . As all of you know that android smartphones are more vulnerable to risks so in the android 7.0 nutella there will be more security . To know more about the features , name and launch date of Android 7.0 Nougat you can visit our guide on Android 7.0 N name features and Launch date . Name of Android Smartphone that will update to Android 7.0 Nougat . List of Samsung smartphones Updating to Android 7.0 Nougat . List of Sony Smartphones updating to Android 7.0 N Nougat . Sony xperia Z5 premium . Sony xperia Z5 compact . Trick to buy Xiaomi redmi note 3 from Flash sale . Micromax canvas Sliver 5 . Xiaomi Mi note / pro . Xiaomi redmi note 3 . Xiaomi Redmi note 3 Snapdragon . Huawei Honor 6 plus . HTC ONE E9 Plus . Note :- The list of devices updating to android N 7.0 Nougat is not official , the Name of devices given here is a combination of Sources and on the basis of their Hardware capabilities . The list will be updated . So this was our guide on the Name of Devices updating to android 7.0 N Nougat . Expected 🙂 We will update soon . Harsh can lenevo K3 note will get 7.0 ,if yes then when??? Yes Lenovo Vibe K5 Plus May also Get the Nougat Update . Lenovo Vibe X3 Get the Nougat Update? What about Lenovo A7010 (x3 lite)? what about xiaomi mi 3s prime to get nougat update? Hi Kalyan As the Xiaomi has recently released miui 8 based on android marshmallow 6.0 so yes Xiaomi mi 3s prime may also get the android N 7.0 Nougat update . When lenovo k4 note get updated , i mean which date? Hi aliya Bhatt Lenovo K4 Note will get the android nougat update in 2017 . Yes Micromax A1 Will Get Android Nougat 7.0 Update . Yes Lenovo A7000 May also get android N 7.0 Nougat update . Hi Chhailender once the Company officially releases it you will be able to get android N 7.0 nougat update . Hi Srinivas LeEco le1 , LeEco Le 2 , Le max are expected to get android n 7.0 nougat update . Can you predict the release month? When will the update for Lenovo phones come out? Hi After motorola and nexus devices lenovo will start getting android nougat update . Hi aliman after Lenovo k3 and k4 note k5 will get update . as you mentioned that xiomi redmi note 3 (RN3) have 1st update so RN3 have already not get marshmellow update so you wanna say that RN3 have skip their marshmellow update and provide us android 7.0 update ?? Hi Amit Yes as Xiaomi has Skipped Marshmallow for redmi note 3 so it is expected that they will release a Miui 9 based on android 6.0 marshmallow . There are Two variants of Rn3 one is Redmi note 3 with Mediatek chipset and other on is With Snapdragon ( Indian ) . 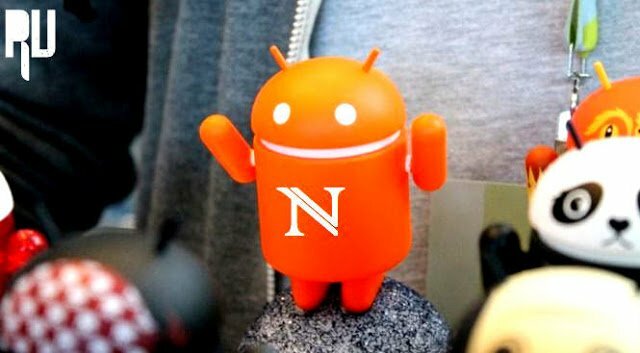 Hi , we are not sure about a7000 but considering the popularity of the smartphone so yes A7000 is also expected to get android N 7.0 nougat update . Hi kalyan Unfortunately Lava iris X9 is not in the list upto Now , However the list is updated on Weekly basis so keep checking . When will moto g4 plus get it? Hi Moto g4 nougat update is expected to roll out in October . What about Lenovo vibe k5 ?? Hi Tarun after Vibe K4 you may Get android Nougat update in K5 note . Will YU yuphoria can get android 7 nougat? If yes, then how? Yu Yuphoria May get CM14 update . Will le2 mobile get Nougat 7.0 update or not? Yes Le2 is expected to Get Nougat 7.0 update . Ny phone is Lenovo vibe p1. I can update androi 7? Lenovo Vibe p1 may get CM14 support but not sure about official Android N 7.0 Nougat Update . When does micromax one gets 7.0 update?? Hi After nexus Devices android One will get nougat 7.0 update . Hi Praveen Lenovo A7000 Turbo Nougat 7.0 Update is expected in October . You are welcome Praveen . sirji will unite 2 get android 7 update. please reply me soon.request. You will soon get CM14 for Micromax Unite 2 . When will lenovo a7010 gets 7.0? Hi As soon as the company releases the Update you will get Nougat 7.0 update . When will Lava Pixel V1 get the update? After Nexus and Motorola Devices . Hi Skf Lenovo K3 note is expected to Get Nougat 7.0 update In November . Blu r1HD wil get the update? Hi haris , Yes Lava iris X8 will get android N 7.0 nougat update . Officially or unofficially or a custom ROM ,,,,,,does i get return back to my stock rom for waiting update…?? Did Asus Zenfone 2 Laser (ZE550KL) Get That Android N Update? Yes , There is already a CM14 available for Zenfone 2 laser . May get by CM14 . Nougat update for Lenovo Devices is expected By the end of this year . Cm14 for K5 note will be released soon . No Micromax nitro A310 will not get Offical nougat update , However Being a Flagship device you can expect CM14 custom rom for the device . Yes , There is already Moto G 3rd Gen Cm14 Nougat update available . Hi Praveen , First Lenovo Note series will get nougat 7.0 update then the A series will get N 7.0 Update . What about Infocus Bingo 50+ ? will it get android 7 update ? Hi Tej, There will be no official Nougat 7.0 Update for Infocus Bingo 50+ but You can Expect nougat based custom rom for the device . What about redmi 3s update andriod N.
Hi Manish, Xiaomi redmi 3s will get Cm14 custom rom soon . Hi Ratan, As the Lenovo A6000 is a popular device from Lenovo So you can expect Official nougat 7.0 update for Lenovo A6000 however the release Date is still unconfirmed . what about le 1s eco to get nougat update? Hi akash, CM14 for LeEco le1s is in build process . Stay tuned we will soon Update the post . Lenovo K3 note how to Android N 7.0 Nougat Update . Hi Sougata , Yes Lenovo K3 note will Get android N 7.0 nougat update . Hi rajesh, Micromax Canvas A1 will be updated soon . Make sure you check system updates by going in settings . Hi javesh, As micromax Sliver 5 is the Flagship device from micromax so it is expected to get nougat update . when will LENoVO K4 NOTE RECEIVE 7.0 UPDATE?? Hi manish, K4 note will get nougat update after K3 note . Will Lenovo Zuk Z2 Plus will receive android N??? Hi Snitik, Yes Zuk Z2 plus will get android nougat 7.0 update . Hi yes s5 will get android n update for sure . vivo v3 is expected to get android nougat update by the end of the year . When will lava pixel v1 get Android 7? Soon it is expected to get update . Yes LeEco Le2 is in the list to get nougat 7.0 Update . Will one plus one get nougat update officially? After Oneplus 2 and Oneplus 3 . After N update,lenovo k3 supported volte? Yes , May be !!! Yes LeEco Le2 will get android n 7.0 nougat update . Lenovo A6000 Series will get CM14 nougat update . Lava V5 comes with a powerful processor . So Not sure about the official update but the device can get CM14 nougat update . Any Information Samsung Galaxy A7 2015 Android 7.0 Naugat Updated. Yes A7 is in the list to get nougat 7.0 update . Hi my k5 note how to update 7.0. As of now nougat 7.0 update for k5 note is not released . what about you Lenovo Vibe K5 Note nougat 7.0 update excepted date? CM14 for Lenovo Vibe K5 note will be released soon . There is no info on official android nougat update . When Lava iris x8 receive Android nougat update…. Hi pradeep You can flash CM14 in Lenovo Vibe K5 plus to update it to Cyanogen . Android Nougat update for Android One devices is rolling out , You will get the update soon . Hey Hi Harsh what about LETV 1S ? Yes Letv LeEco Le1s is in the list to get Nougat update . what about Yu Yureka Note ?! CM14 for yu yureka rolled out , for the note series it will be rolled soon . Lenovo A6000 Plus already got nougat 7.0 Update by CM14 rom . What about lenovo vibe x3 ?? What would be the expected month to get nougat update on lenovo k3 note ?? Moto G4+ already got the official update . Its Expected that LeEco Le2 will 7.0 Nougat update . Please reply me what about lenovo vibe x3? What about lenovo vibe k5 note?? Hi sir is Lenovo a7000 a plus getting Android nougat are not if yes when is the official date or if no what is the reason behind this. Does le2 will get the android 7.0 ? what about Le eco Le2 (32g)….will it be upgradeable to nougat? What about the update for lenovo vibe k5 note? When got nougat update my lava pixel v2 device? Wt about infocus? ?..will it get updated to nougat android? ?